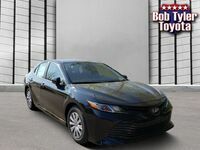 For decades, the Toyota Camry has taken the four-door sedan segment by storm and it has no plans on stopping any time soon. 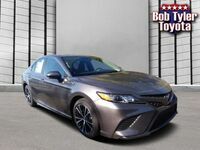 With the new 2018 Toyota Camry, drivers get the same reliability and practicality that they’ve known for years with the addition of a modern style, technology, and excellent comfort and convenience features. 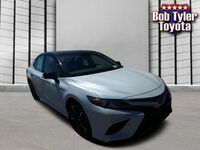 Drivers in Escambia County, FL interested in getting behind the wheel of this impressive vehicle with a long history of success can find it here at Bob Tyler Toyota in Pensacola, FL. The 2018 Toyota Camry comes in a total of ten trim levels – seven gas-powered, three hybrids. Each trim level comes with its own set of unique features and specs for a truly versatile driving experience. The Camry offers three different powertrains including an all-new 203-horsepower 2.5-liter 4-cylinder base engine, a 296-horsepower 3.5-liter V6 engine, and a hybrid powertrain. Both practical and exciting, the Toyota Camry comes with bold style, athletic performance, and advanced technology. It easily takes on driving both in the city and on the highway, making it a great pick for commuters and families alike. 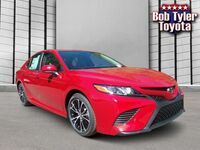 Drivers interested in getting behind the wheel of the new 2018 Toyota Camry are encouraged to reach out to our staff here at Bob Tyler Toyota. 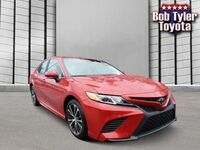 We currently have a wide variety of new Camry models available for you to choose from at several different trim levels, ensuring you get the exact vehicle you’re looking for. If you have any questions or would like to set up a test drive, all you have to do is call our dealership, stop by our Pensacola location on Pensacola Blvd. or click the button below to fill out an online contact form and we’ll be happy to work with you via email to set up a test drive in the vehicle of your choice. We look forward to hearing from you!